People planning to add a four-legged friend to the family this Christmas need to be wary of unscrupulous breeders and sellers, animal welfare Minister Lord Gardiner has warned today. With puppy smugglers and unlicensed sellers ready to take advantage of the high demand during the festive period by illegally importing pets into the country, neglecting their health and welfare and not properly vaccinating them - leading to steep vets’ bills and potential heartbreak for buyers – Lord Gardiner has set out five simple tips to help anyone thinking of committing to a new pet choose the right animal. The Minister’s warning has been backed by Dogs Trust and the British Veterinary Association. Always consider a rescue dog in the first instance. If you are buying a puppy, only buy from reputable breeders and sellers – and make sure they’re licensed if buying from a business rather than private seller. Never buy a puppy that’s younger than 8 weeks old. Check the puppy’s health history – check vaccinations, make sure it’s microchipped, and consider asking the seller to complete the ‘Puppy Contract’. See the puppy interact with its mother. 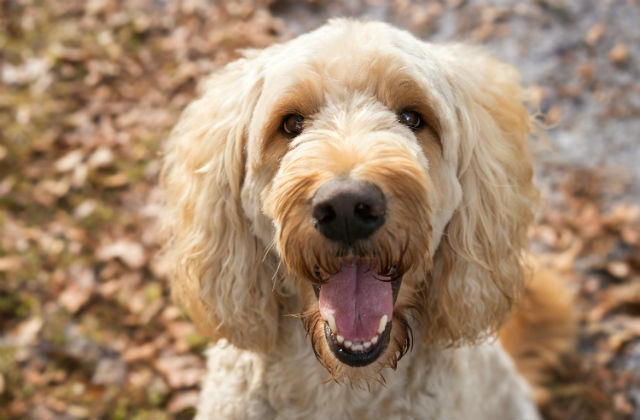 The government announced earlier this year that some of the Pet Advertising Advisory Group’s minimum standards will become mandatory for online sellers as part of a swathe of reforms to the animal licensing system. The reforms will make it illegal to sell puppies younger than eight weeks and require anyone breeding and selling three or more litters a year to apply for a formal licence. Anyone trading commercially in pets online will need to be properly licensed. We all know that a dog is for life, not just for Christmas. But that life could be cruelly cut short if they haven’t been properly looked after by the breeder, bringing heartbreak to the family. We are a nation of animal lovers and buyers can do their bit to avoid the dishonest sellers by never buying a puppy younger than 8 weeks old, seeing the puppy interact with its mother and checking on its health history. 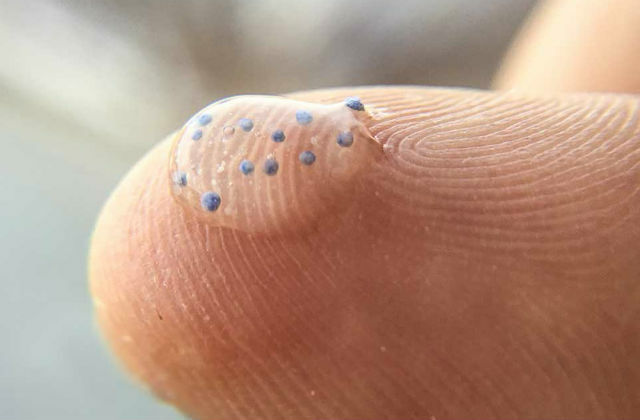 A sample containing microbeads is displayed. There has been widespread coverage today on marine plastic, with the Telegraph reporting on comments made by Sir David Attenborough ahead of the final episode of Blue Planet II this Sunday. This episode will look at the impact of human activity on our oceans and the scale of plastic pollution around the world – with Attenborough stating our oceans are "under threat now as never before in human history". With eight billion tonnes of plastic making their way into the sea every year, we recognise marine litter is a growing global issue and tough action is needed. Just last week we laid legislation before Parliament to ban microbeads in cosmetics and personal care products – bringing us one step closer to introducing one of the world’s strongest bans on these harmful pieces of plastic. This builds on the success of our 5p plastic bag charge, which has taken nine billion bags out of circulation since it was introduced. Countries around the world need to take urgent action to stop plastic entering our oceans and we are already making great strides, taking nine billion plastic bags out of circulation with our 5p carrier bag charge and drawing up one of the world’s toughest bans on microbeads. We recognise there is more to do in this area, and we will be working with industry to explore how we can reduce the amount of single-use plastic waste as part of our resource and waste strategy. The RSPB 2017 State of the UK’s Birds report highlights a number of changes to populations in Britain and migrant birds’ behaviour. Short-distance migrants such as blackcaps and chiffchaffs are shown to be benefitting from the warmer, wetter winters that the UK has experienced over recent years and are increasingly overwintering here rather than migrating to southern Europe. Breeding numbers of both have more than doubled since 1970 by 289% and 104%, respectively. 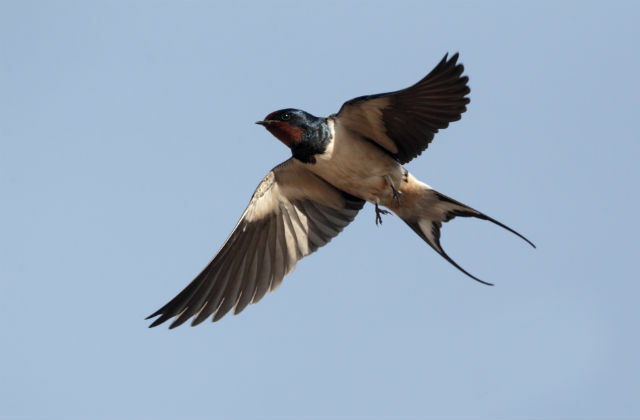 Swallows and other migratory birds, such as garden warblers and whitethroats are also show to be delaying their return migration each autumn and so some species are now spending up to 4 weeks longer in the UK each year. Has created over 4,000 Sites of Special Scientific Interest (SSSIs) in England, covering around 8% of the country's land area. SSSIs are the country's very best wildlife and geological sites and many will benefit birds. 95% of our SSSIs are being maintained in favourable or recovering condition. Has designated 625 sites as Special Areas of Conservation (SACs) and 271 sites as Special Protection Areas (SPAs). SACs protect the most vulnerable and threatened species and habitats on the land and in our seas while SPAs protect the habitats of rare and vulnerable wild birds. Is spending around £3m p.a on agri-environment (AE) research and monitoring and evaluation which informs options that are integrated into the schemes. There is strong evidence to support the benefits that options and the scheme deliver for farmland birds. We want birds to thrive, which is why we are establishing over 250,000 acres of new wildlife-rich habitat and investing in agri-environment schemes such as Countryside Stewardship. Our ambition is to be the first generation to leave the environment in a better state than we found it and we will keep building on our successes by enhancing our environmental standards and delivering a Green Brexit. Today it’s been announced that the £100m Boston Barrier flood defence has been given the go ahead by the Secretary of State Michael Gove. The barrier, which will better protect more than 14,000 homes from tidal flooding, will make Boston one of the best protected areas from flooding outside of London. The Transport and Works Act Order (TWAO) and full business case have now been approved and work is set to start on-site in January. Not only is this fantastic news for the 14,000 home and business owners who will be better protected from flooding – Boston’s new state of the art defences will help attract investment, benefitting the wider area. 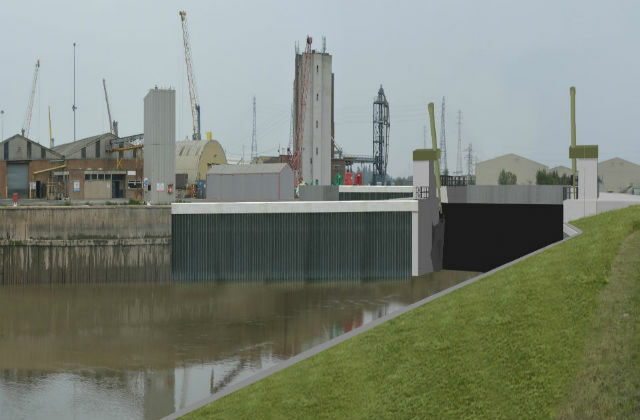 This is just one of many flood schemes being built in Lincolnshire and we are investing £229 million over six years to better protect communities across the county. Christine Middlemiss will join Defra as the UK’s next Chief Veterinary Officer (CVO), succeeding Nigel Gibbens CBE, who is to retire from the Civil Service at the end of February 2018 after nearly 10 years in the post. The announcement was carried in the Vet Times, Vet Surgeon, Farmers Guardian, Farming UK, and Pig World. We’d like to congratulate Christine Middlemiss on her appointment as the UK’s next CVO and welcome her return to Defra – as well as to the UK. The work of all vets in government is indispensable in protecting and promoting animal health and welfare and public health, and current UK CVO Nigel Gibbens CBE has been crucial in steering this with calm direction and sage insight from the heart of government. We hope to continue our effective working relationship with the new UK CVO, and really look forward the opportunity to work with Christine moving forwards. This is a good appointment. Christine has been very supportive of the pig industry, and, for example, was behind making PED notifiable in an industry partnership. She has worked at Defra before and has a good understanding of the industry. Christine joins Defra from her current high-profile position in Australia, where she has been working as the CVO in New South Wales since August 2016. She has led major improvements to biosecurity across many farming sectors. She comes from a farming family in the south of Scotland, with a background in beef cattle and sheep. During a decade as Chief Vet Nigel Gibbens has been instrumental in driving animal welfare improvements both at a national and international level, and Christine will now build on that work. The Government has recently made a number of announcements on improving animal welfare including compulsory CCTV in slaughterhouses and a tenfold increase in sentences for the worst animal cruelty crimes, and is committed to further reforms as we leave the EU. On Monday 4 December Environment Secretary Michael Gove went on a tour of Arla’s net zero carbon dairy plant at Aylesbury. 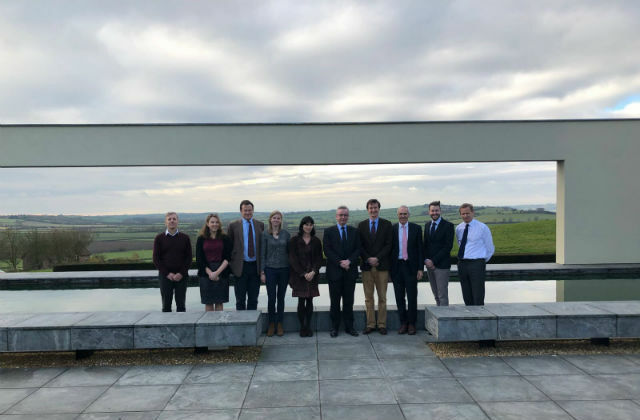 He met Tomas Pietrangeli, MD of Arla Foods UK, and David Christenson, an Oxfordshire Farmer and Chair of the Arla Farmer Brexit taskforce, to discuss the future of the UK’s food and farming industry. Challenges and opportunities that EU exit will bring for farmers in the dairy industry were highlighted and Secretary of State reiterated his commitment to work closely with farmers as Brexit forms take form. As part of the visit, Secretary of State went on a tour of the biggest fresh milk processing plant in the world. The Aylesbury Dairy is the first net zero carbon milk processing plant of its kind as part of Arla’s ambition to dramatically reduce greenhouse gas emissions. My visit today was a chance to look around Arla’s state-of-the-art dairy site and see first-hand the scale of investment made to promote not only productivity, but also sustainability. Embracing new technology lightens our environmental footprint and it will help our farmers and food producers take full advantage of the opportunities ahead as we prepare to leave the EU, including access to new markets for our great British food.